Following on from part one of our QVD appliance series, we move on to demonstrating the new disk image management in QVD 3.1. As mentioned in part one, QVD needs three ports to be available on your local machine, so if you do happen to have anything running on ports 2222 (ssh to the appliance), 3000 (the web administration tool), or 8443 (QVD’s Layer 7 Router service), identify those and shut them down. It’s probably best that you have at least 4GB of RAM on your testing machine to ensure you don’t take a performance hit hosting a VM inside your current session. 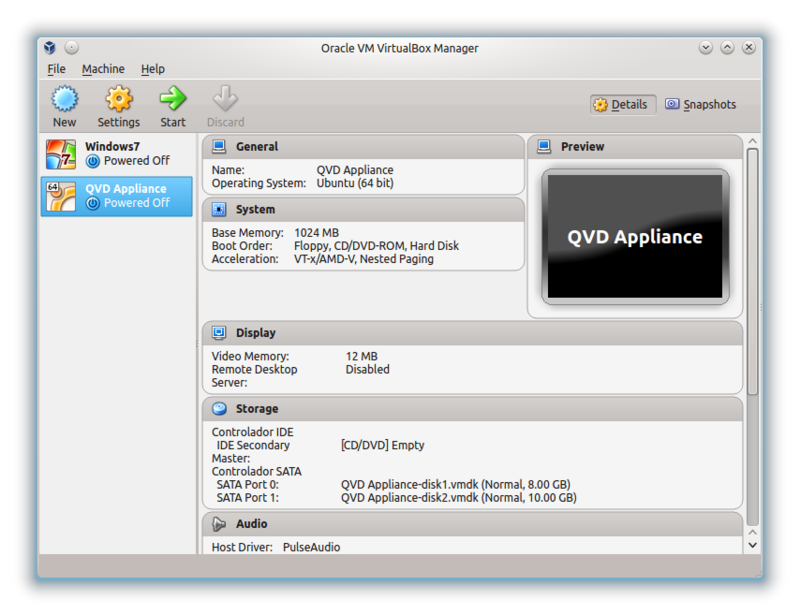 Open up VirtualBox, select the QVD Appliance listing and click “Start”. This will start up the QVD virtual machine, preconfigured with QVD 3.1 and after a while you will be presented with the command line login to your new machine. You could log in at this point, but it’s probably going to be easier working from within the host machine, either over ssh or using the web administration tool, so minimise this screen and open up your web browser and point it to http://localhost:3000 which will offer up the web administration login screen. The credentials for the demo appliance are admin and admin, so go ahead and log in. That will take you to main screen of the web administration tool. Select the OS flavours link in the navigation. Here you will see that we already have one predefined OS Flavour, or OSF. Here you can easily add or delete new Flavours for your users. Since the existing Flavour hasn’t allocated any persistent storage, let’s add one that does. Select New and supply a name (we’ll use demo2 for purposes of this tutorial), allocate 512 MB of RAM, and in user space, let’s give the user 1GB of RAM, so we add 1024 MB in the User Space field and select Create. Now you will see that you can have several distinct environments using the same base disk image with a minimum of overhead. 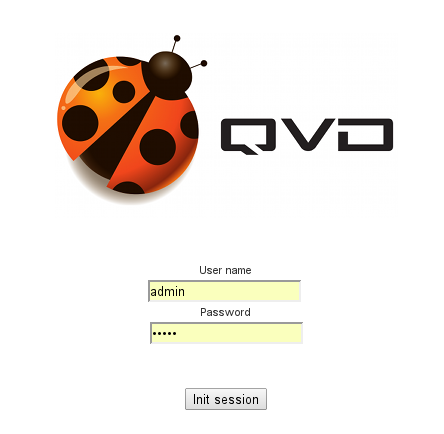 The QVD admin tool can be found in the directory /usr/lib/qvd/bin and indeed, you may wish to add this to your path if you plan to do extensive work with QVD. For convenience, however, we’ve created a link to the admin tool in /usr/bin called qa which is what we will use from here. DAEMON_NAME is <undef> at /usr/lib/qvd/lib/perl5/site_perl/5.14.2/QVD/Log.pm line 12. Let’s have a quick look at the disk images. The appliance has one pre-loaded. Back in the WAT, go to the Disk Images tab and select New. Select the new OSF, demo2, and you will see the image file is now showing in the second section, so select that too and click Create. Also, since space is tight, select to delete the image afterwards. That done, you should now have your new DI, linked to the new OSF. Now let’s go into the Users tab. 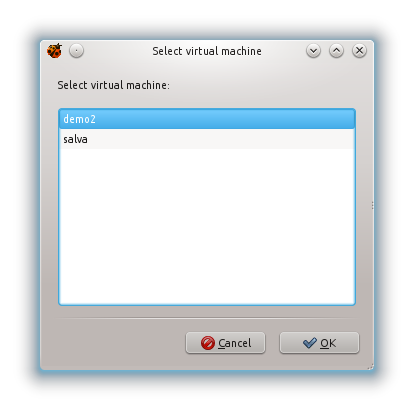 Let’s say we wish to add a VM for the second user, salva. 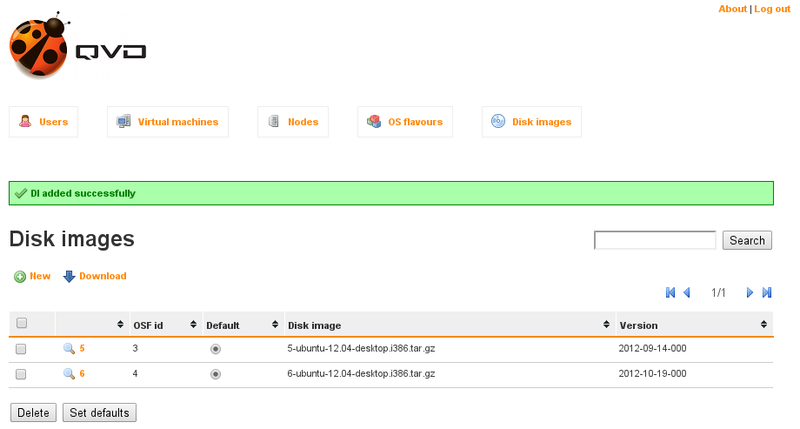 This VM will use the new OSF we created, demo2, giving the user the persistent disk space. Click the user’s id and the New Virtual Machine which will take you into the page for that. 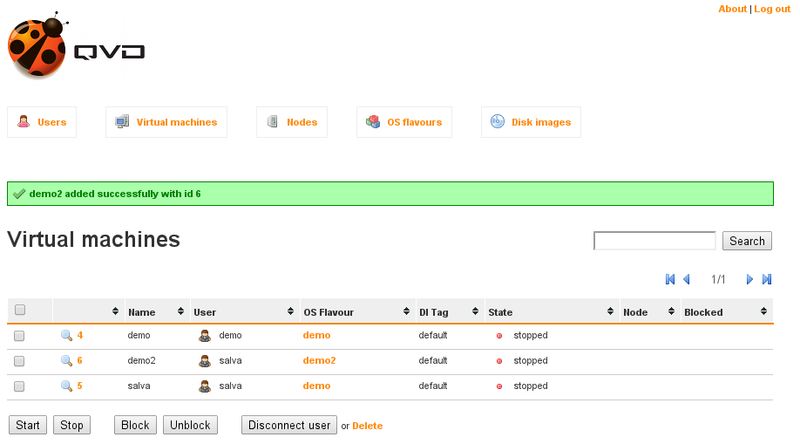 Enter a name for your new VM, demo2 will do for now, and select the new OSF. This will automatically add the VM and take you back to the VM listing.